Why Do Poor Families Have Luxuries Like Mobile Phones? 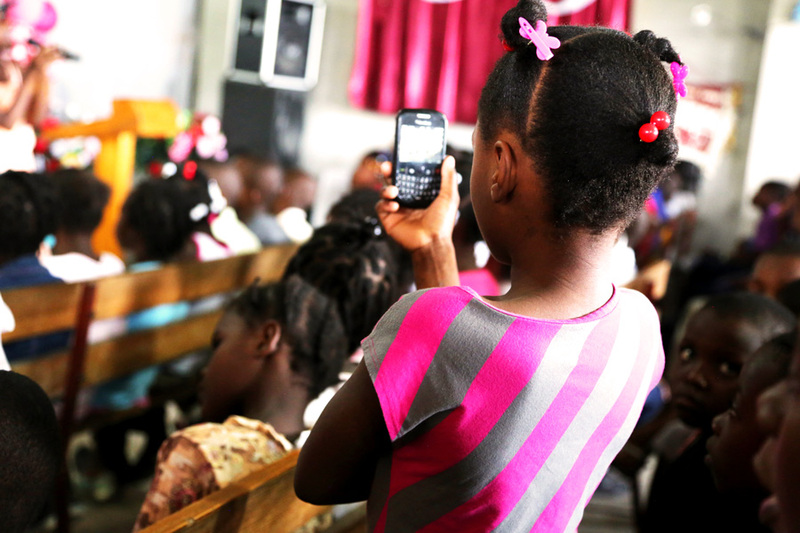 Have you ever received a letter from your sponsored child that mentions social media, televisions or mobile phones? Has it made you wonder if they really need your support when they have these ‘luxury’ items? The reality is not that simple. Reading ‘Facebook’, ‘computer’, ‘internet’ or ‘television’ in a letter from your sponsored child might seem like a red flag. It is hard for us to understand why families in Compassion’s programs have what we consider luxuries, when physical and educational needs are not being met without Compassion’s support. You may even think, ‘Do they really need to be sponsored if they can afford these luxury items?’ The simple fact is that families in developing nations do not always view mobile phones and other technology as luxury items. They are needed tools for development, education—and, sometimes, even survival. And they can acquire these tools for much less than we think. Would you or your children be able to go about your day-to-day life and studies without internet access? For many of us, it would be difficult! So why do we expect children living in poverty to go without access to such a versatile tool? Many Compassion child development centres have computer labs with internet access. 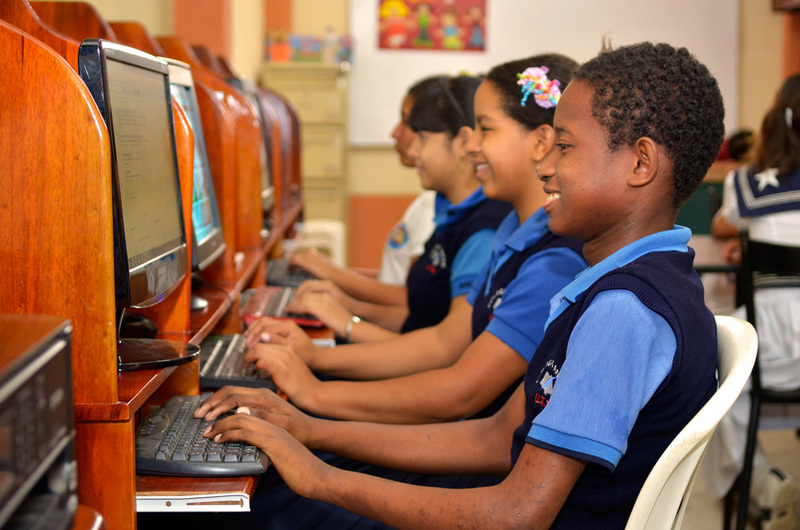 It’s in these labs that children learn computer skills and are able to complete their homework—both avenues help them upskill for work in the future which will help to lift them out of poverty. In Australia, our picture of the internet might be streaming Netflix on your television while reading blogs on your laptop and scrolling through Facebook on your phone (wait, is that just me?). But the internet, for all its flaws, can be a life source, not solely used for entertainment purposes. 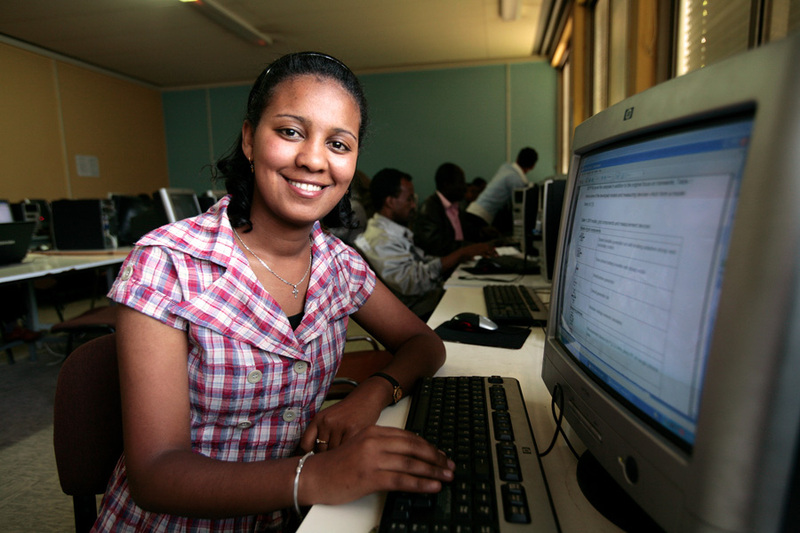 Internet access gives people the opportunity to further their education, search for employment, and keep up to date with information that will benefit their small farm or business. Internet cafes are plentiful and cheap in the developing world, and for a small fee people can jump online and access a wealth of information previously unavailable to them. The developing world is skipping landlines and going straight to mobile phones. Right from the start, the mobile phone market has been competitive by marketing to the poorest of the population and offering low-priced phones and prepaid SIM cards. This means that people can pay a dollar or less and have access to phone calls, tests and even the Internet for a limited amount of time. They pay as they go, and only what they can afford. In some ways, new technologies are progressing faster in the developing world and are allowing people to do business more safely and more efficiently. For example, innovations like Kenya’s M-PESA, which helps mobile phone owners easily and securely send money, has been significant. During the political instability a few years ago, M-PESA became especially useful. People could confidently store and send their money on their phones at a time when many banks were unstable due to ethnic tensions. Without land lines, emergency lines like 000 and ambulances, a simple mobile phone can be a life-saving alert system and access to emergency assistance from others in the community when needed. Barrack Okal, who helped set up much of the technology systems that Compassion uses in eastern Africa, told us about a person living in the country who texted their doctor to see if they needed to go to the hospital. Once it was determined that it was, in fact, an emergency situation, they were taken to the hospital in a wheelbarrow. ‘Luxuries’ may not always be what they seem. In developing countries, television ownership varies widely across countries and even between rural and urban areas. One study found that almost no families living in poverty in Tanzania owned a television, while half of those living on the same (adjusted) income in Hyderabad, India owned one. It depends on the area, and what’s common in that culture. But when they are available, televisions (and radios) can be purchased for relatively little, just like mobile phones. Importantly, these items can be a crucial means of receiving warning signals during natural disasters or weather forecasts that inform agricultural decisions such as when to plant and harvest. 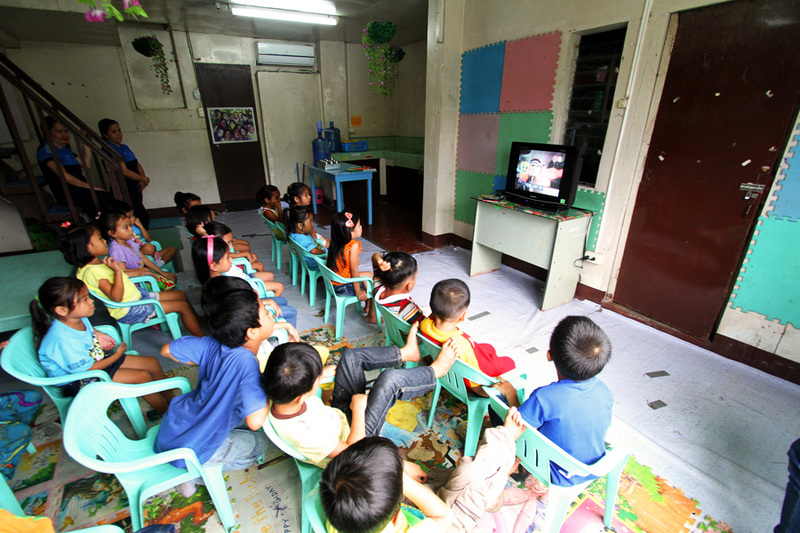 A TV can also provide a form of education or entertainment that was not previously available to the family. In some communities, libraries are non-existent but a television could be an inexpensive means of entertainment. In dangerous areas, where it’s not safe for children to play outside, television is a safe and relatively educational option. Most of us like to be entertained and people living in poverty deserve that opportunity, too. It’s hard to find someone who doesn’t have a social media account of some sort. The same can be said of many children in Compassion’s programs. And why not? They’re free to use and can open up a world of information. While children and teenagers in Compassion’s programs are taught by Compassion staff not to contact their sponsor outside of Compassion’s official channels, many of them are curious and may try to find you on Facebook or some other site. While we celebrate the deep relationships our supporters share with their sponsored children, if this happens, it’s really important that you don’t respond or accept their friend request for the protection of both you and your sponsored child. This is to keep your personal details secure and to protect you from receiving unsolicited or inappropriate requests from members of your sponsored child's community, who could otherwise gain access to your personal details. It’s also because outside Compassion’s communication channels and monitoring, we can’t be certain the person contacting you is your sponsored child. In the event that this happens, please contact us and we can help you out. If you consider the low cost of many of these technologies and the lack of other community resources we often take for granted, you can start to see how technology in developing countries is not only a tool for entertainment but can help provide important new opportunities. Technology, when wisely deployed, can help keep people safe, connected and informed—all important steps on the path out of poverty. Some of the information found in this post was previously published on the Compassion International blog and has been republished here with full permission.